Oxford has celebrated the official 'bottoming out' of its Beecroft Building, a state-of-the-art new research facility currently being constructed by the Department of Physics. The ceremony took place on Monday 27 June and marked reaching the deepest point of the building's excavations - 17 metres. The new facility will house researchers working on theoretical, condensed matter and quantum physics over seven floors, and is due for completion in 2017. More than 50 guests gathered to celebrate this important moment, including Head of the Department of Physics Professor John Wheater, academics, key donors, and members of the construction and architectural teams. 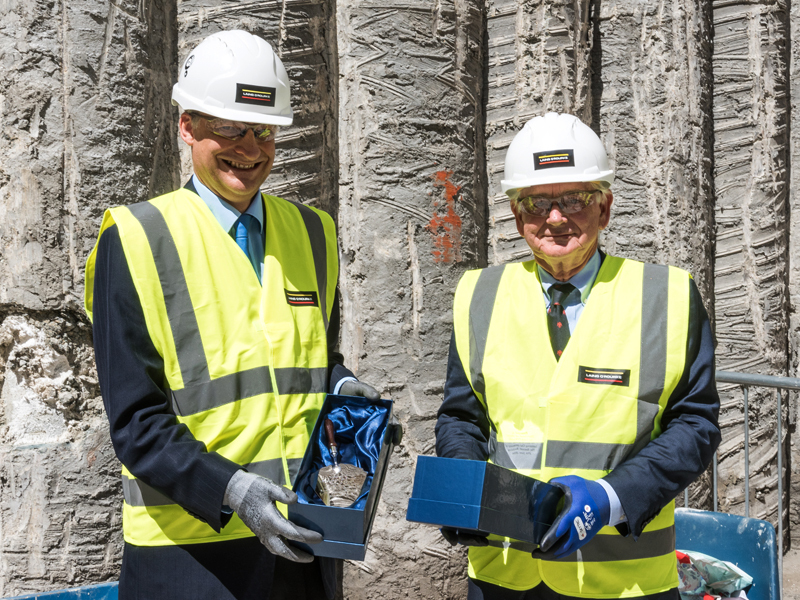 Adrian Beecroft, a lead benefactor for the project, and for whom the building is to be named, was presented with an engraved silver trowel by the construction company. Mr Beecroft, an Oxford Physics alumnus, also supports the Beecroft Institute of Particle Astrophysics and Cosmology at the University. During the ceremony, Professor Wheater thanked all of those who had contributed their time, expertise and money to the project. When complete, the Beecroft Building will provide new working space for theorists and high-tech laboratories for experimentalists, helping to ensure the continuation and development of world-class scientific research at Oxford. 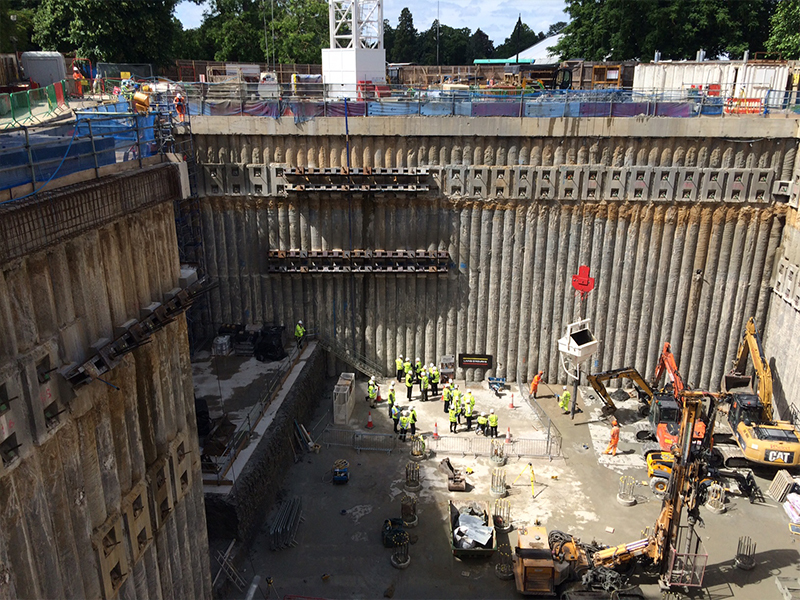 To end the ceremony, Professor Wheater, Mr Beecroft and other donors took turns to spade cement into a space in the floor, before climbing the 100 steps back up to ground level.